Hey everyone! 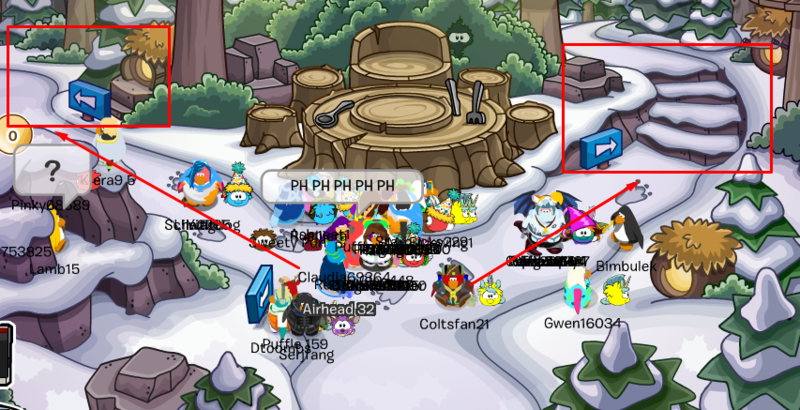 There's a new party this month and it's the Puffle Party! 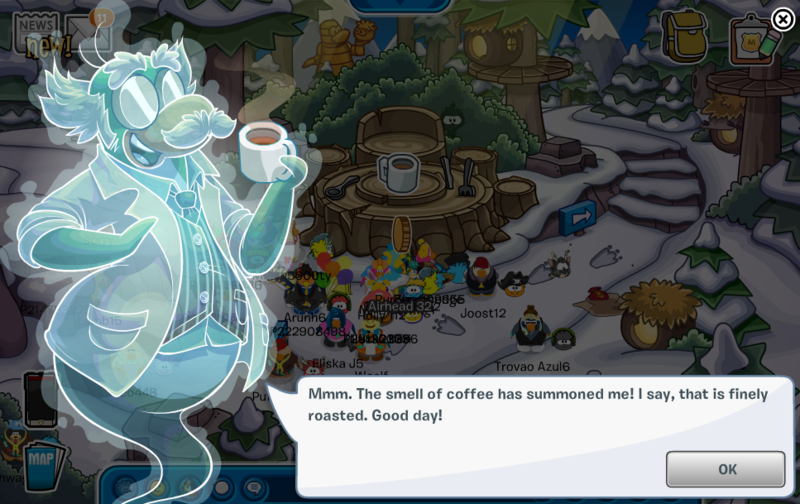 Also, have you heard that there is a mysterious Sasquatch walking around?! 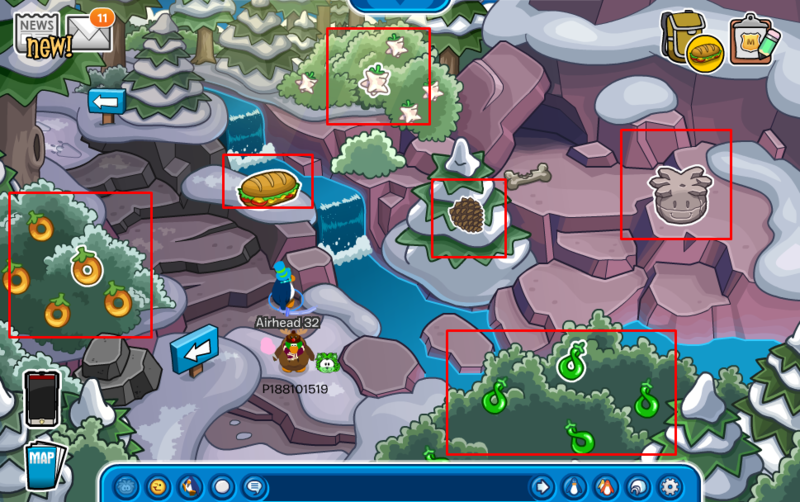 Anyways, PH tells us we need to investigate the hole in the ski lodge and to find some missing berries. There definitely is a hole here but I also see footprints. We should follow them and see where they lead. 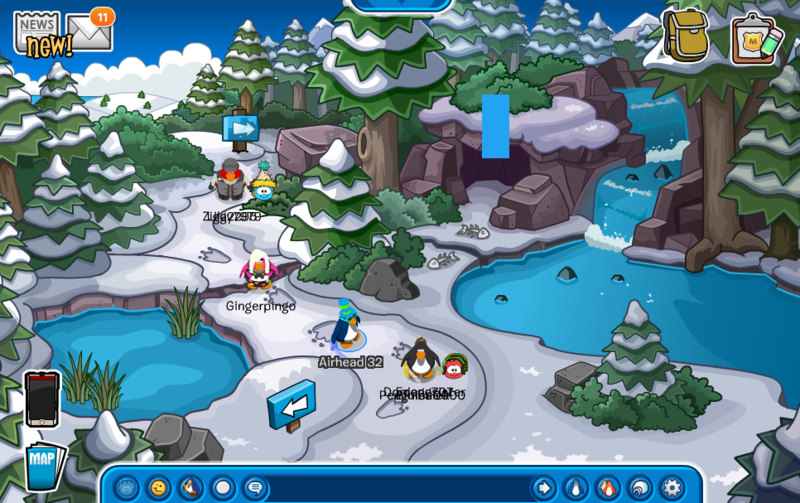 I think this is the first time Club Penguin allows us to go into the wilderness of Club Penguin. Anways, I still see footprints. Let's keep following. We have to place an object on the tree stump table. 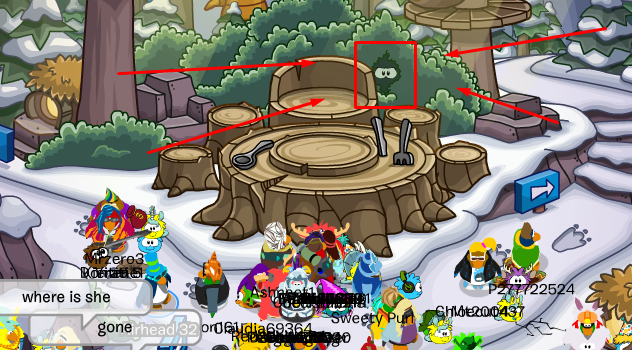 If you didn't notice I think the sasquatch is in the bush hiding. Maybe placing something on his table will make him come out. You can go to either path on the left or right. On the left side you can pick ONE of these six items. 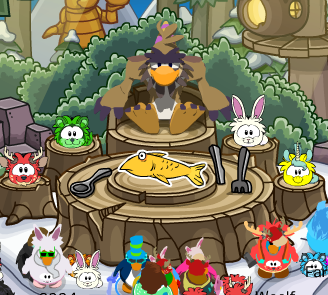 Place the item you collected on the tree stump table and you'll either be able to collect items or Rockhopper, Gariwald (and other mascots) will say something to you. Just go back and forth. 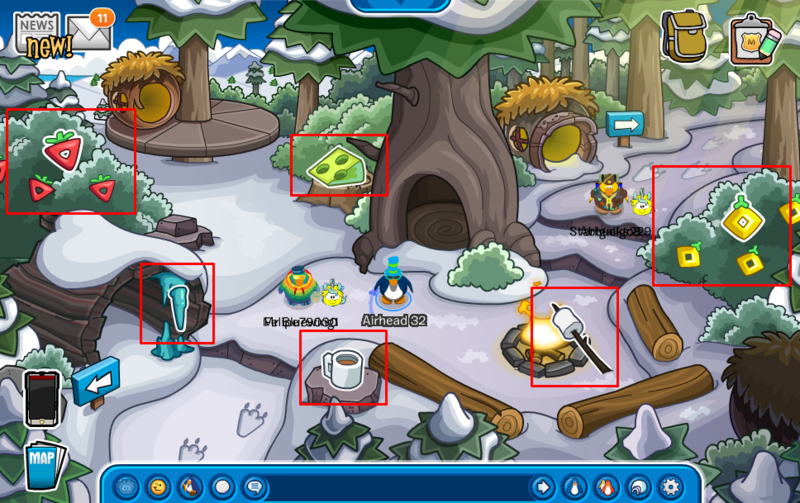 Keep collecting items and bringing items back to the table. 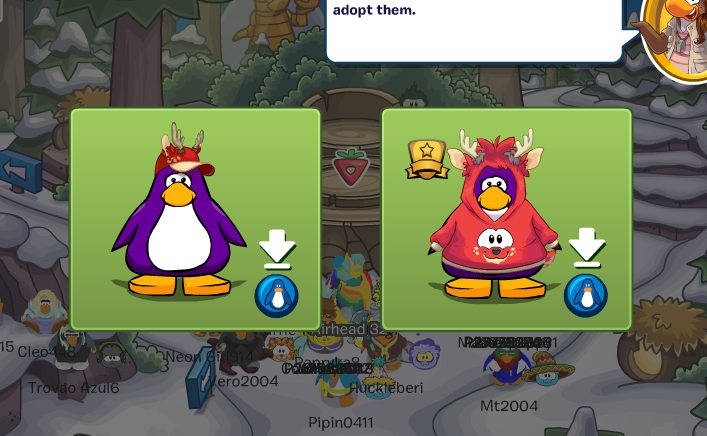 By the way, the berries let you unlock items! 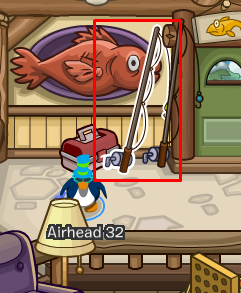 Once you've brought all of the items, PH will let you know that there's a fishing rod in the Puffle Lodge (ski lodge). 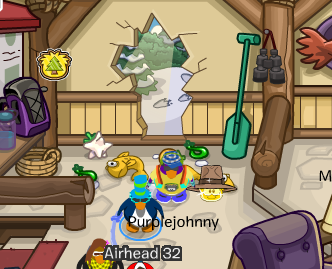 I went to the Puffle Lodge and the fishing rod was there. 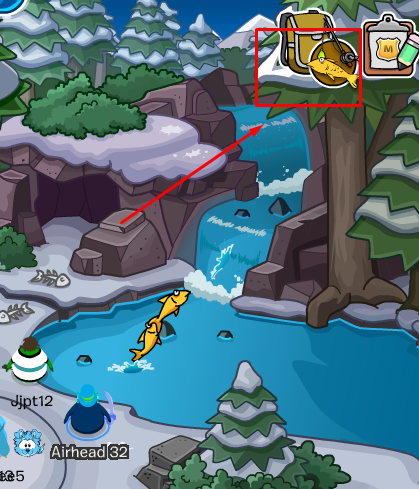 Now you need to go back through the hole at the Puffle Lodge and you need to go fishing! Stand next to the pond and a fish will appear in your bag. Take that fish back to the table and guess who appears! THE SASQUATCH! The Sasquatch then explains why he's so hungry and PH gives him the fishing rod. That's it! You completed everything in this months party. 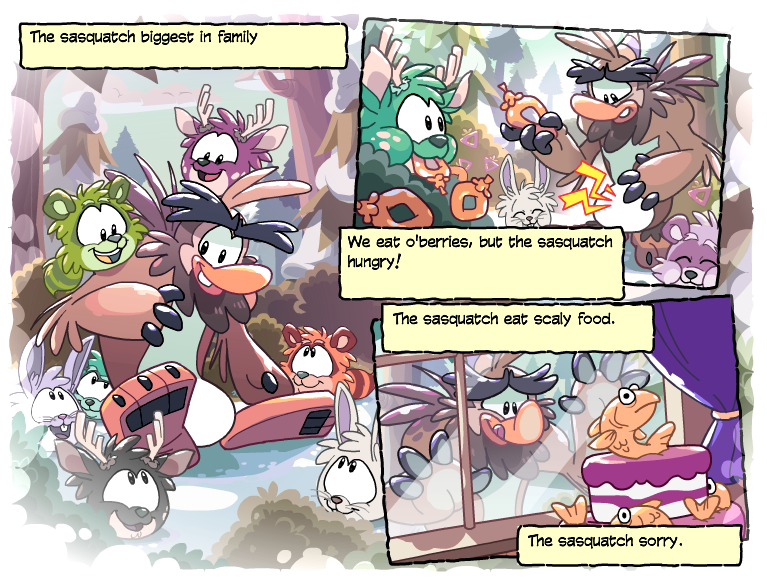 Now go explore and check out this months catalog because they're filled with many Puffle themed items.